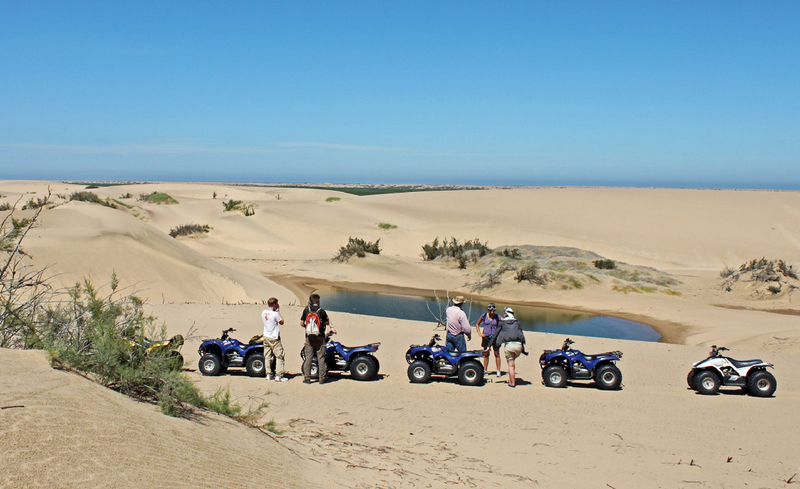 We are operating eco-friendly, educational Quad Bike Desert Dune Tours (and 4X4 during low season) from Walvis Bay, Namibia, Africa. Namibia was once a German colony, known as “Deutsch West Afrika”. Walvis Bay is 35 km south from Swakopmund. Walvis Bay with its calm bay and large sand dunes, is the Tourism Activity Center of Namibia. 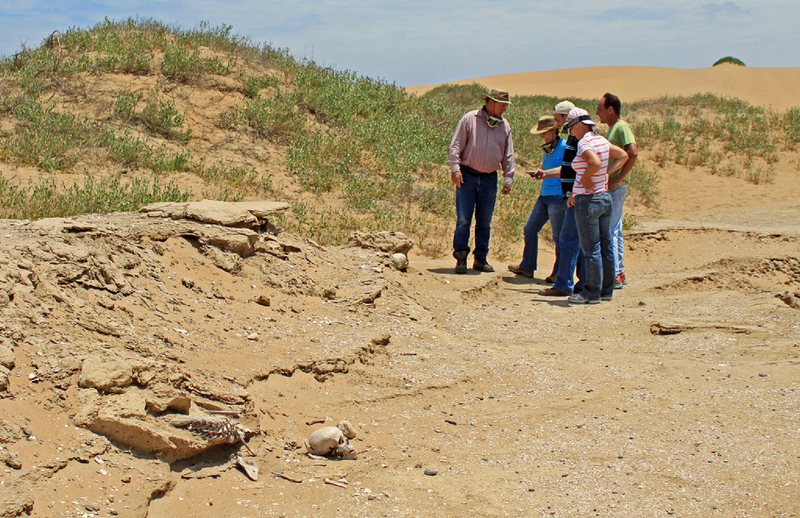 You must, when planning your Namibian Travel or Adventure Holiday, allow enough time in Walvis Bay to enjoy these excellent activities and sightseeing.The unique attraction and activity, however, is an excursion with a knowledgable guide into the desert. Marine activities one can do anywhere in the world, but the Namib desert and the Kuiseb delta is only here, so do not miss this fantastic opportunity.Walvis Bay is situated in the Kuiseb Delta of Namibia, on the Atlantic coastline of south western Africa, where the big Sand Sea of Sossusvlei meets the Kuiseb River. We take you into the Kuiseb Delta, the pristine “DUNE HEART” of the Namib Desert, the historic home of the ancient Khoi people, a place our guide knows better than anybody else. 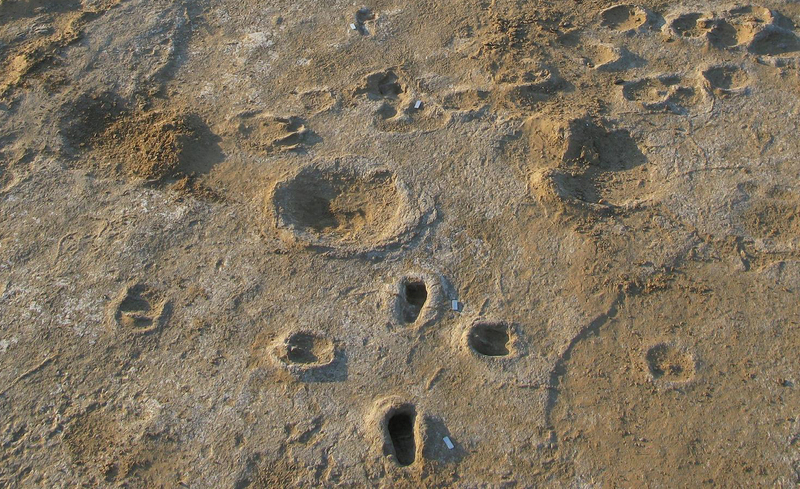 Come and see the old living places of these Khoi people and experience the “Living Desert”. See the tracks of the desert elephant, an old human skeleton, the golden dunes of the delta, an historic human footprint as well as the desert chameleon.We are highly environmentally conscious and monitor the area for illegal and harmful activities. As we are also highly safety conscious, thorough training is given before departure on how to safely drive a quad in the dunes. All our tours are owner guided and his main priority is your safety, thus our safety record is the best. He conducts the tours in English, German and Afrikaans. Our tours depart from the premises of Lagoon Chalets, Eight Road West, Meersig, Walvis Bay. Lagoon Chalets offers a high standard camping site (well protected from the wind and with electricity connection points) and high grade affordable family holiday accommodation. Security measures at Lagoon Chalets are of a high standard, so your vehicles will be safe.